goverment center 4, originally uploaded by Amy Rice. 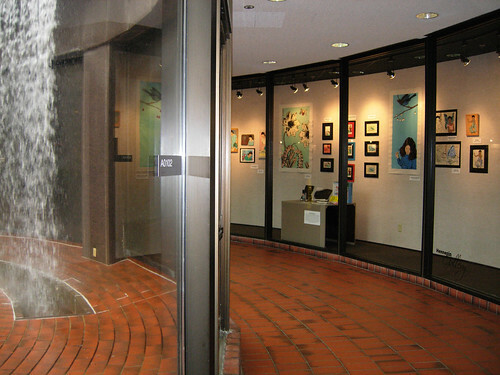 I have a show up at the Hennepin County Government Center. It’s a cool space. It’s in a nifty glass box across from another glass box that has a waterfall and a giant sky light. The show had a focus on process so that’s why there are many versions of the same stencil (something I would normally avoid in a show).